We have been serving the local community for over twenty years. 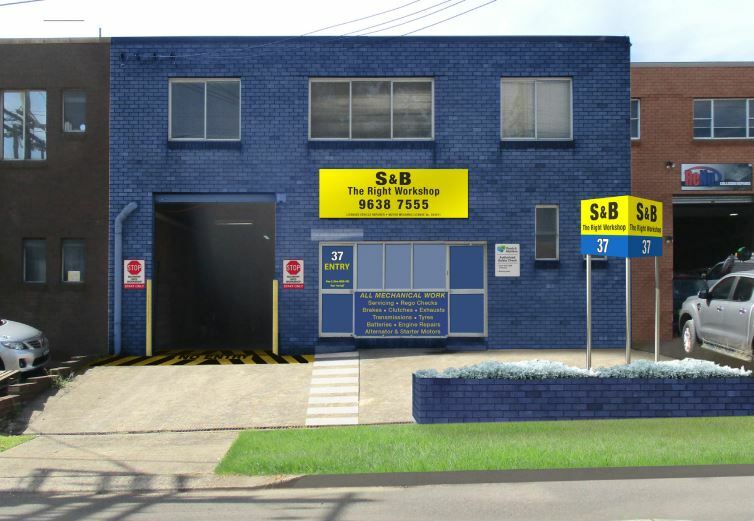 Formerly located on Victoria Road, Ermington, and now at 37 Antoine St, just east of our previous Park Rd workshop. Doing general car service and mechanical repairs, transmission service, brakes, clutch, rego inspections, esafety check/pink slip, car air conditioning service/ regas, muffler and exhaust repairs to most makes and models. We can also do your manufacturer’s logbook service, without affecting your warranty. Our mechanics are specialists from Henry Ford’s 1908 T-model Ford to the latest cars on the market today – Toyota, Holden, Mitsubishi, Hyundai, Mazda, Suzuki, Nissan, Kia, Honda, Subaru, MG, VW, Bentley, Rolls Royce, Chrysler, Peugeot and many others. We are central to Camellia, Carlingford, Denistone West, Dundas, Dundas Valley, Eastwood, Ermington, Granville, Harris Park, Meadowbank, Melrose Park, Newington, Oatlands, Parramatta, Rhodes, Rosehill, Silverwater, Telopea, Wentworth Point, and West Ryde. See more about S & B at our Google Places page.